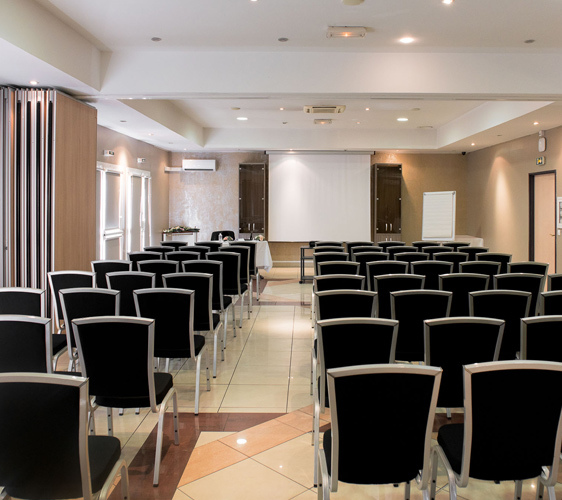 At the centre of Parc de Trigance, in the heart of beautiful Provence, Hotel Ariane in Istres is the ideal location for your round tables, business drinks and company conferences. Company personnel, entrepreneurs and freelancers are all welcome at our eco-friendly hotel. 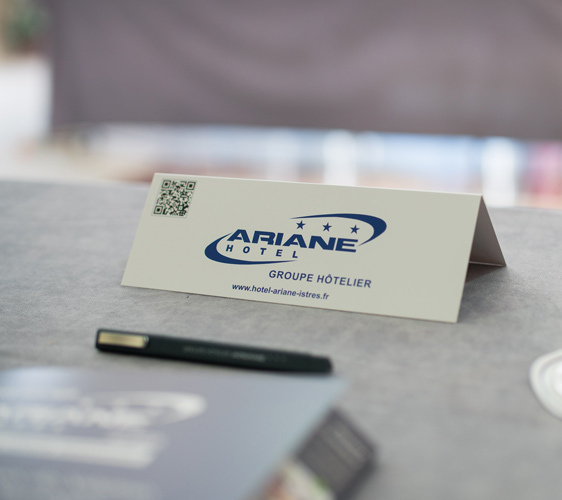 Equipped with the latest technology and located in a fast-growing economic hub, Hotel Ariane Istres will be a home from home for your team, ensuring the comfort of each member and promoting a close-knit environment. 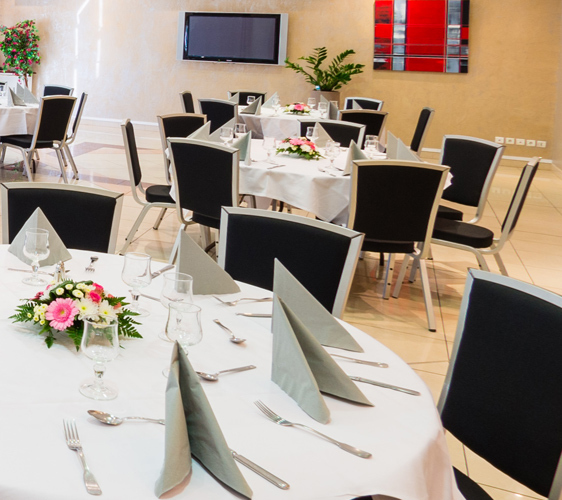 Hotel Ariane’s three stars represent our commitment to providing an outstanding wedding planning service. The grounds offer the perfect country-chic setting for a wedding in the heart of Provence. 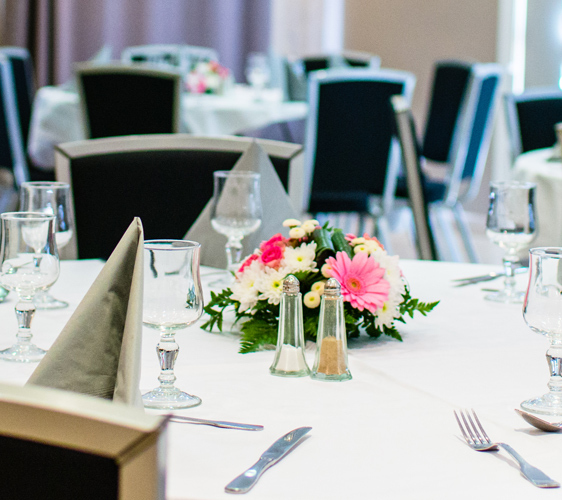 We help you to organise your special day, offering a wedding menu with a range of traditional dishes. The Ariane group’s commitment to sustainability means your wedding will be eco-friendly. It can be organised with the help of one of the wedding planners we work with. This specialist will assist you in the period up to and during your special day. Bespoke ceremonies and weddings are just a few of the services we offer to create the ideal setting for you and your guests. Our cocktail reception and brunches are also perfect for christening celebrations in Provence. Where nature meets technology. 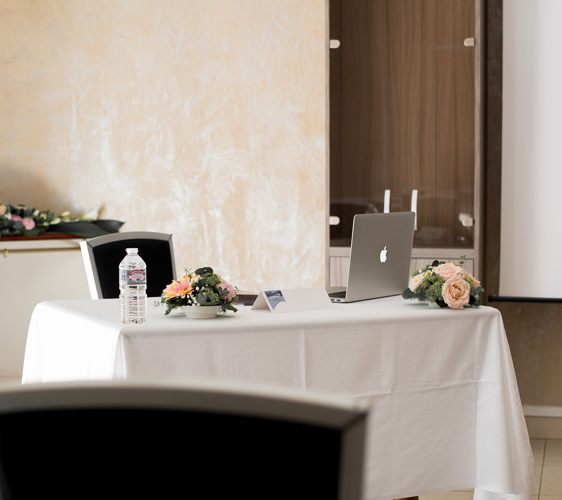 The rooms offered at Hotel Ariane Istres are equipped with all the latest audio and video equipment. We also offer a high-speed internet connection. This ensures that you won't waste any time during business presentations. Our modular rooms offer 200 square metres of space in total, creating the optimum working environment for your team. 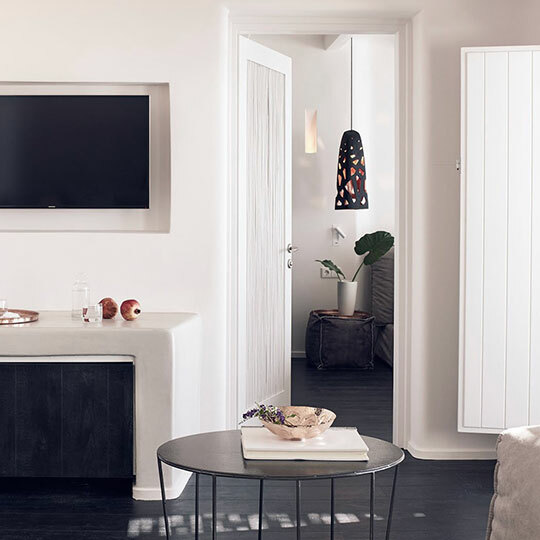 Enjoy the balmy warmth of southern France without overheating, thanks to our adjustable air-conditioning units. Every room is equipped with a flip chart. This is an essential tool at any successful business event. No need to worry about light if you're giving a presentation — our opaque curtains can be drawn to completely block out any daylight. We have a video projector and projection screen available so you don't have to worry about bringing any bulky equipment with you. 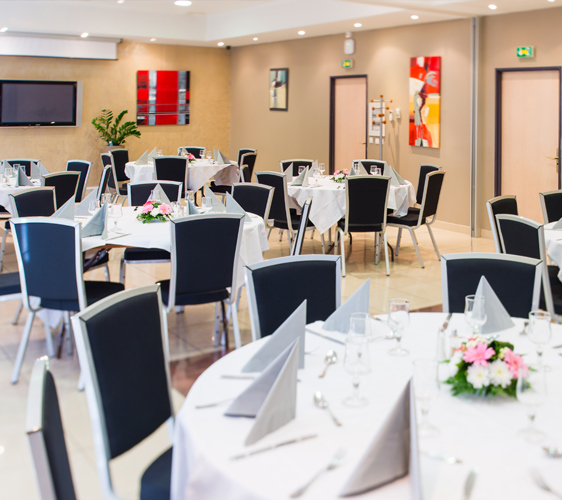 Close to the Miramas outlet village, the air base, the airport and the high-speed train line, Hotel Ariane Istres is located in a lively area that offers the perfect mix of modernity and tradition, ensuring the smooth running of all your private and professional events.